The classic spiral-bound edition is published each spring. The 2018 edition of The Associated Press Stylebook and Briefing on Media Law includes about 200 new or revised entries, with chapters covering business, fashion, food, religion and sports terms, as well as media law, news values, punctuation, social media use and a new polls and surveys chapter. Save money while you stay in style. 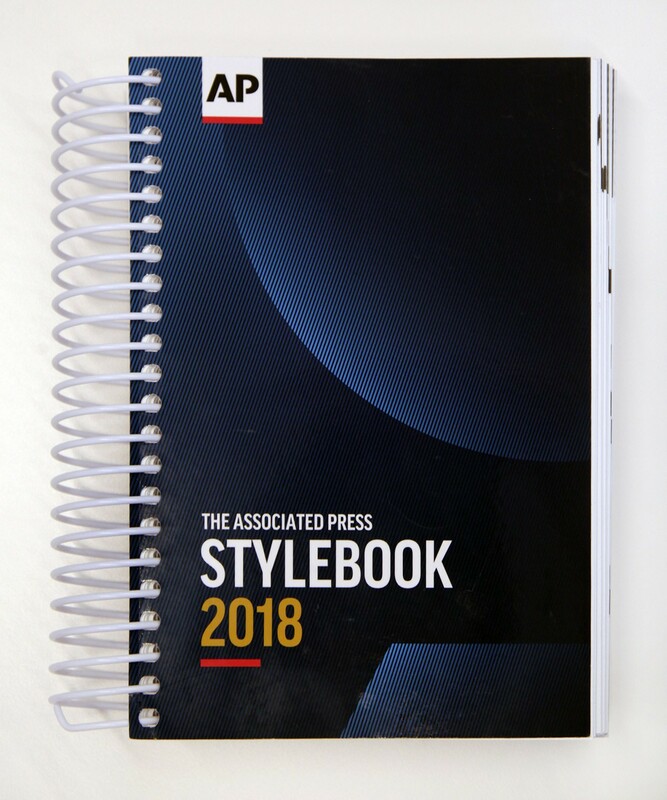 Sign up for automated book delivery and we will ship you the new edition of the AP Stylebook each spring before it goes on sale. You will save 20% on the cost of the book every year. This year, pay $18.35 instead of $22.95. At 638 pages, the AP Stylebook is widely used as a writing and editing reference in newsrooms, classrooms and corporate offices worldwide. Read the press release. 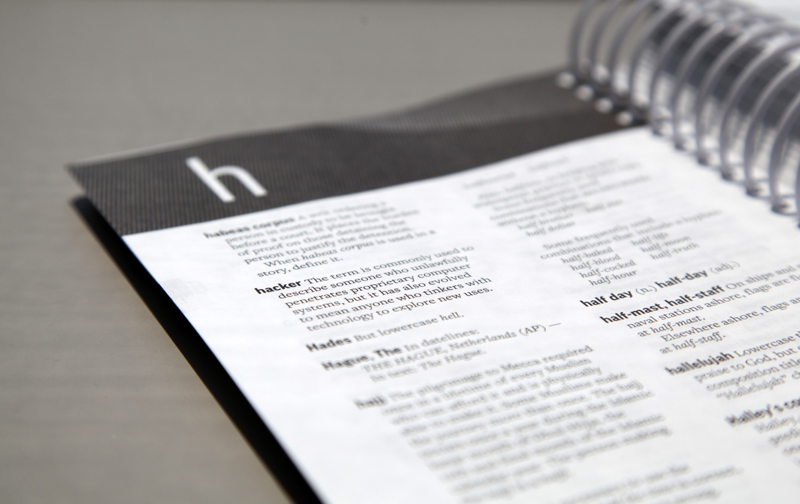 The classic spiral-bound Stylebook lies flat on your desk, making it easy for you to refer to an entry multiple times as you write or edit. 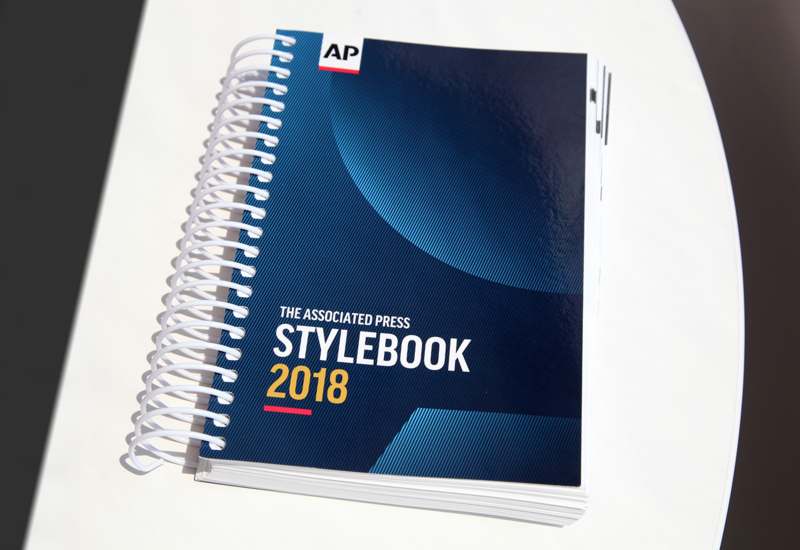 The Associated Press releases a new edition each spring, compiling additions and changes that have been made throughout the year on AP Stylebook Online. 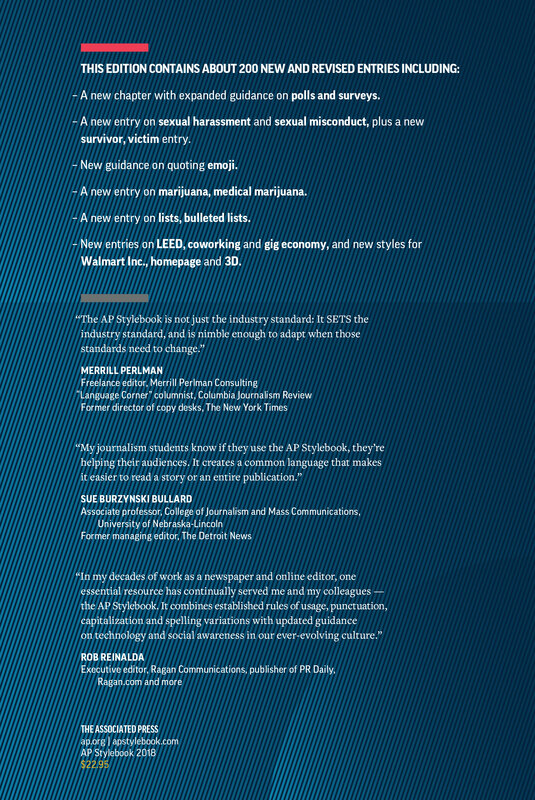 The 2018 Stylebook includes about 200 new and updated entries since the 2017 edition. A new chapter with expanded guidance on polls and surveys. Shipping available by UPS, USPS and FedEx. Add a book or books to your shopping cart, then use the shipping estimator tool on the right to see prices for each shipping method. It SETS the industry standard, and is nimble enough to adapt when those standards need to change. if they use the AP Stylebook, they're helping their audiences. It creates a common language that makes it easier to read a story or an entire publication. one essential resource has continually served me and my colleagues – the AP Stylebook. It combines established rules of usage, punctuation, capitalization and spelling variations with updated guidance on technology and social awareness in our ever-evolving culture. Executive editor, Ragan Communications, publisher of PR Daily, Ragan.com and more.